Buck's Restaurant and Blue Marlin Catering have been creating memorable events in the area since 1994. From Barn-Style Weddings, Birthday Parties, Sweet 16 Celebrations, Graduation parties, Corporate Milestones and Christmas parties....we've done it all. Need a Rehearsal Dinner location? Buck's is ready for you. We specialize in creating off-site locations into your group's special event destination. From up-scale full service Wedding's to Down-Home Barbecues featuring Maryland style Pit Beef and Crab Cakes. We can accommodate most budgets while providing a large array of Menu ideas. We have the experience and expertise to throw a party your guests's will remember. 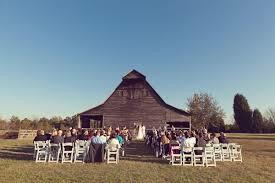 Blue Marlin provides off-premise Catering services at the following locations: Fair Hill Tea Barn, Bohemia River Overlook, Fairwinds Farm, the Gardens at Bethlehem Farms, Fair Hill Nature Center, and Various Halls and Community Centers in the area.